BROOKLYN CENTER, Minn. (Mshale) – Hundreds of community members and high ranking State of Minnesota government employees gathered a week before Christmas to remember a man they described as a loving father, dedicated employee and erstwhile union leader. Henry T. McCabe, a Minnesota Department of Revenue Corporate Auditor, who had been missing for almost a month was discovered dead on Rush Lake in New Brighton on November 2. He was 32. 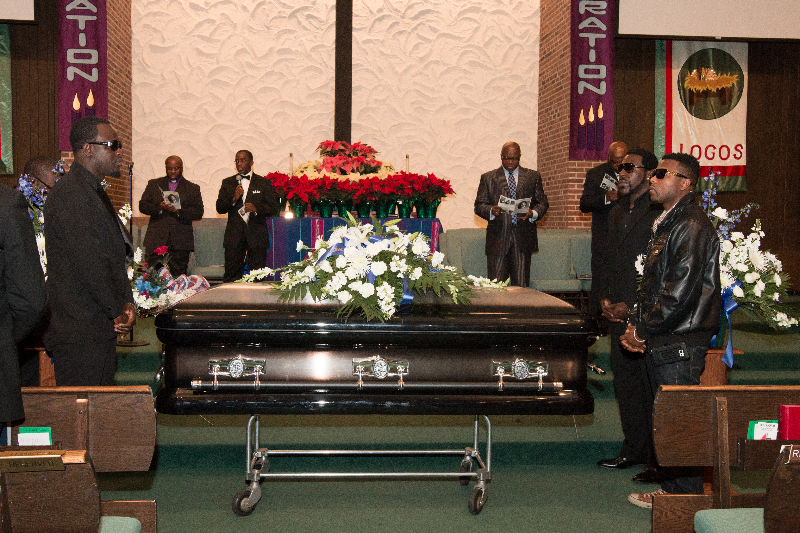 He left behind two daughters, his wife of 11 years and many friends and work associates who celebrated his memory at Brooklyn United Methodist Church in the ‘African Suburb’ of Brooklyn Center. “Why did he have to die like this?” Yve asked, barely holding back tears. Yve’s question was in the minds of many in the Liberian community which has had a particularly challenging year. McCabe’s death came barely 6 months after that of 10-year old Barway Collins, whose body was found on the banks of the Mississippi River. His father, Pierre Collins, pled guilty to second-degree intentional murder and is serving a 40 year sentence. Yve’s uncle, Timothy Borbor, had spoken just before her and in a halting voice said he believed “my brother was murdered.” Police have said the death is still under investigation. McCabe was an honor student at his alma mater California State University and a member of Beta Alpha Psi, an international honor organization for financial information students and professionals. “He taught me how to cook,” Kareen said. As she perfected the cooking in those early years, McCabe got “skinnier”, she said to laughter. McCabe’s love of community and people are things that never changed since he met him, the tearful widow told mourners. “And that is what I loved about him.” She said it has been difficult to go near the desk where the late McCabe used to study. Kareen also joined her brother-in-law Timothy in calling her husband’s death a murder. “I want justice for my husband. He didn’t deserve to die. Someone did this to him. There is a God and he knows what happened and hates an injustice. Whoever did this, God will deal with you,” the now visibly emotional Kareen said as the congregation nodded and murmured their approval. Pastor Charles Goah of United Christian Fellowship Church in Minneapolis said Kareen told him she was hoping the death was still a dream she will wake up from. 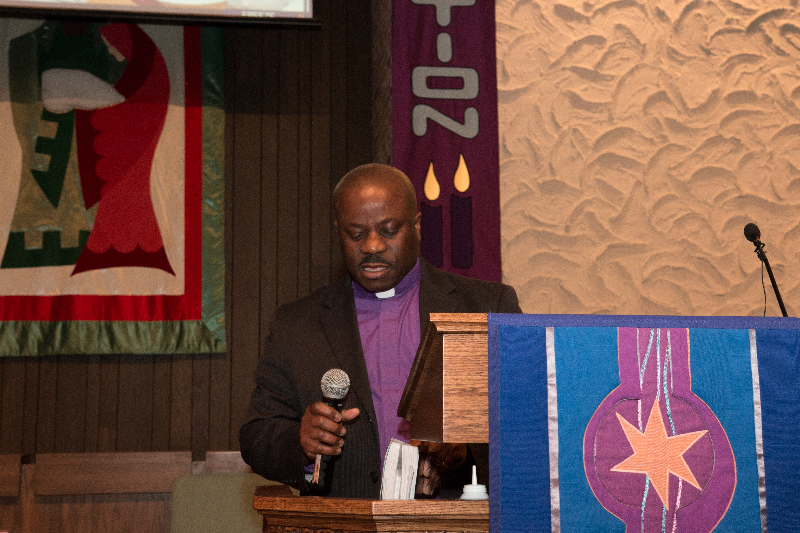 “This is not academic to her and the family, but real,” pastor Goah said as he delivered the sermon. Pastor Goah then went on to preach, from among other books in the bible, the book of Luke, directing mourners specifically to chapter 7. That chapter tells the story of how Jesus raised the son of the widow of Nain from the dead. Goah said death for those left behind many times leads to suffering but like what Jesus did with the widow, he showed compassion towards her and those around Kareen should do the same. “In our darkest moments, where there is the presence of Jesus, there cannot be hatred,” the fiery Goah told mourners. In addition to his devotion to his family and larger Liberian community, McCabe was a dedicated and committed employee, said Ryan Church, the Minnesota department of Revenue Deputy Commissioner, who got to know McCabe as they both worked at Revenue. 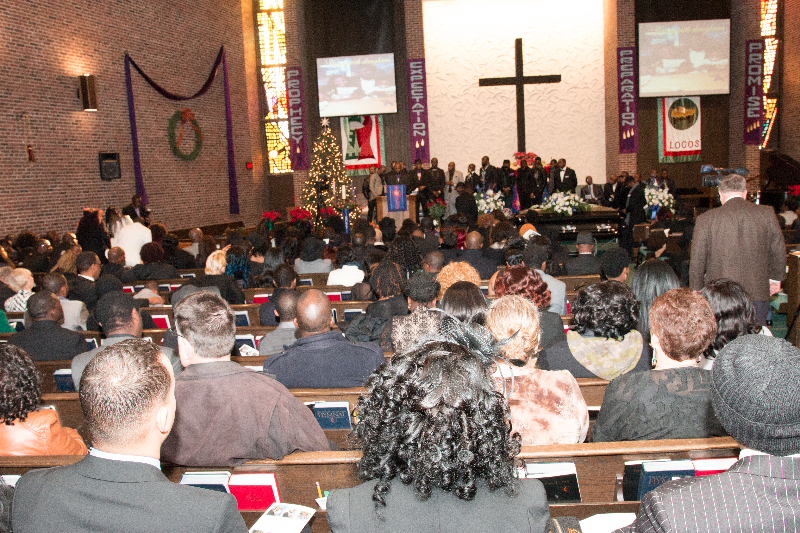 Church led a strong delegation of state employees who came to pay their respects. The previous night at the wake, Church’s boss, Cynthia Bauerly, Revenue Commissioner at Revenue had paid her respects as she was scheduled to be out of town during McCabe’s funeral. The powerful Minnesota Association of Professional Employees (MAPE), the union that represents state and municipal workers, had a strong presence at the funeral as they sent a delegation led by its statewide president Chet Jorgenson. The late McCabe served as the chapter president of MAPE Local 401 until just this past summer and the task of expressing the grief of MAPE members was given to Joan Treichel. A sobbing Treichel said the biggest thing Henry was working on while chapter president was paid parental leave for all public workers, a desire that was fueled after his second child Ivy was born. “We are still fighting (for parental leave) and I am sure Henry will be smiling up there once we accomplish it,” Treichel said. All MAPE members are praying God will reveal the answers to what really happened to their friend. 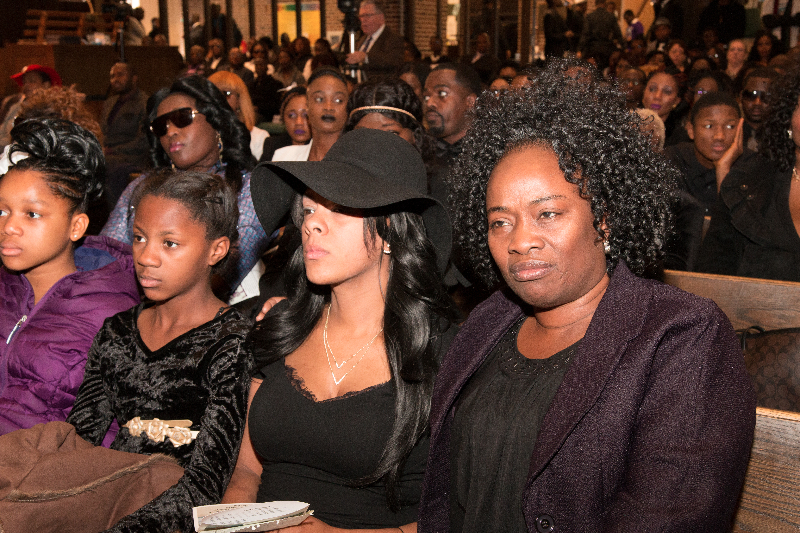 McCabe’s mother mourned her son via phone in an emotional eulogy that had tears flowing freely in the packed church. The funeral had been delayed for weeks to allow the late McCabe’s mother to travel from Liberia but those efforts were not successful, organizers said. Various speakers from a cross section of the communities that the late McCabe had a relationship with spoke of the impact that he had on them, from his early years in Liberia to his adult life in the United States. Signifying how well rounded he was, there were also speakers from the soccer team he was a part of, East Coast Stars. His teammates recalled the jokes they would have with him on the sidelines. McCabe’s jokes would make things lively in between action at the games, they said. “We will never know why bad things happen to good people,” one East Coast Stars player said as he mourned his teammate. He will never want us to cry today. The Liberian Gospel Musicians Association provided the music in between the remembrances from the contingent of speakers. Also speaking was the widow’s mother, Heloisa Wade. “His earthly life might have been interrupted but his life goes on,” Ms. Wade said.